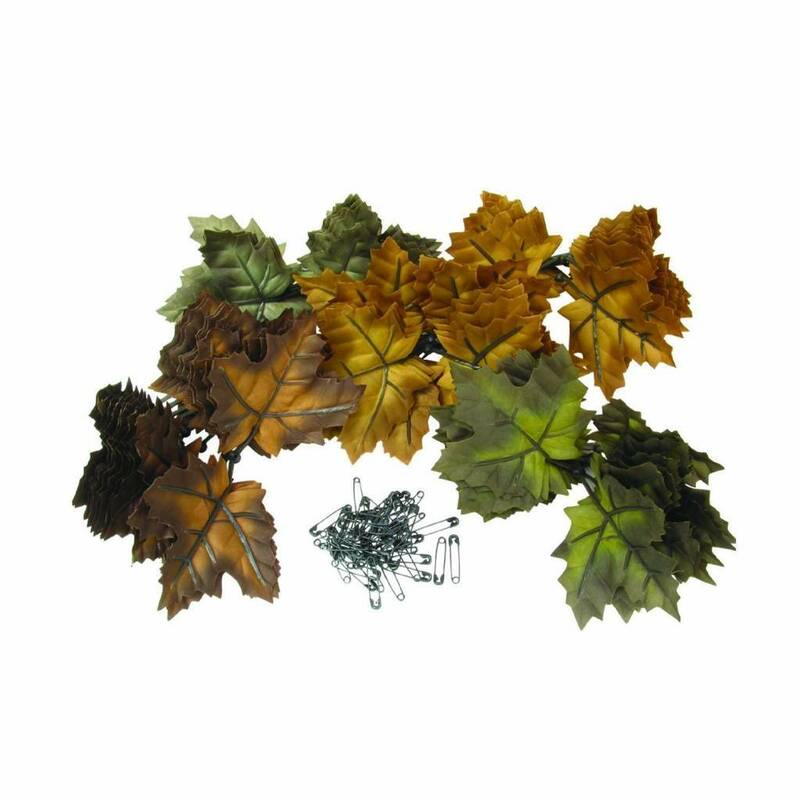 A high quality reproduced artificial leaf that when applied to existing camouflage, transforms it into the most natural looking, realistic camouflage available to hunters today. SneakyLeaf can be used to create 3-dimensional leafy camouflage on jackets, pants, hats, gloves, etc. as well as attach it to bows, tree stands, guns, etc. It is machine washable as well as super quiet and easy to apply. 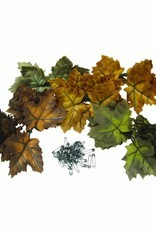 Each package includes 50 sets (two leaves attached together by plastic vein) equaling 100 leaves in four colors. Black safety pins and adhesive stickers included. I was quite surprised at just how many you get in a bag, 100 leaves is a lotta leaves and they're nicely varied in the tones and colours. They look very realistic and appear to be made from some pretty sturdy materials. Awesome leaves. Flexible and well made. Very effective addition to my Ghillie. The colours are quite bright. A quick dust over with some matt black does the job. Easy to apply. Good service from the Skirmshop as usual. Happy days. Amazing love the way they look so easy to blend in with very little work needed just a light spray and you’re done 100 percent worth it. Awesome product, take your Ghillie to the next level.